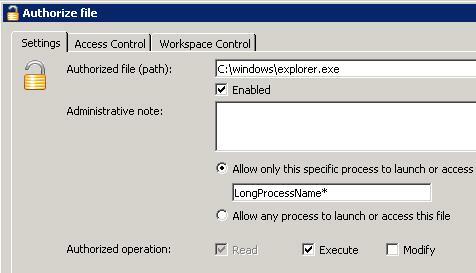 We noticed that all the blocked processes were now being blocked using their full name, “LongProcessName.exe”. When we authorized this process or added an asterix (*) to the current AppGuard entry, everything was back in working order. After some investigation by RES Support we were informed that the AppGuard Driver, which is mainly responsible for the Security Management has been redesigned in SR2. The positive side of the redesign is a more efficient process. 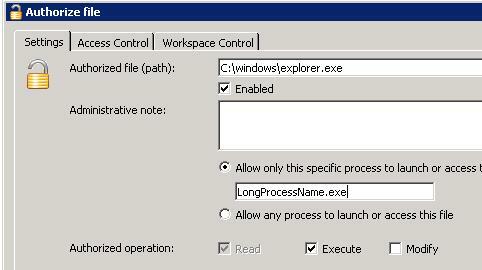 The “negative side” (during an upgrade) is the process name field can now contain the full process “LongProcessName.exe”. 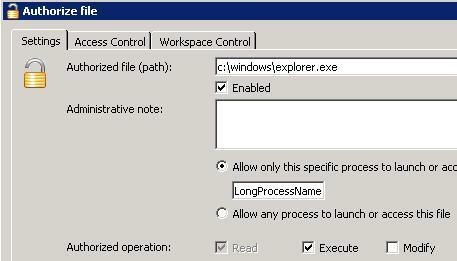 And because the process “LongProcessName” was authorized to start Explorer.exe, but not “LongProcessName.exe” applications failed to start. The correct way would be to use the full process name, but it could take some time to find all exact and correct process names. The issue is reported to Res Support and they made it clear that this would be passed on to their R&D department.